What if time is layered, like a stack of pancakes? And what if trees, interconnected by a complex mycelial network, exemplify the most perfect type of freedom? 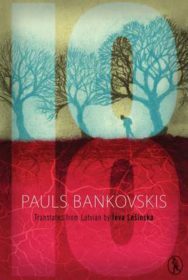 The backdrop to Pauls Bankovskis’ 18 is a pivotal moment in Latvian history – the year is 1918 and Latvians are fighting for their independence – however, the novel’s scope is much broader. Our narrator is a deserter who traverses the country (and possibly time itself) largely by foot, narrowly avoiding all types of danger in a history now lost in myth and oblivion. Throughout the chaos depicted in the novel one thing stands out as a constant source of insight and calm: the forest, and particularly its trees. As the story progresses a fascinating and beautiful theory surfaces that connects humanity, nature, space and time. In the following essay, Bankovskis discusses the influence of the forest on his life and writing. The most powerful image in Andrei Tarkovsky’s 1975 film Mirror, in my opinion, is not Mother, played by the wonderful Margarita Terekhova, but Mother Nature – more specifically, the forest. It’s those scenes in which the screen is filled with twigs or branches, with the wind blowing past, over and through them. At these moments, Friedrich Engels’ saying about seeing the forest for the trees, endlessly bandied about yet uttered in a completely different context,* suddenly acquires a direct and literal sense. May I be forgiven by natural scientists for my wilful use of zoomorphic or even anthropomorphic comparisons, but it really looks like the moving branches do not “act” or “behave” like extensions of autonomous, free-standing biological organisms: rather, they appear as one complex whole. It’s not unlike the countless YouTube videos featuring clouds of birds which, in a mysterious consensus and coordination, create complex moving figures, or the schools of tiny fish which exhibit similar skills in documentaries on deep-sea life. I’ve often observed this phenomenon first hand as well. Sometimes I sit on the veranda of our country house at a small, rickety table, and outside the window, half-covered by a vine, I can see the edge of the forest. By the fence there I can watch deer as they come out and graze; I’ve seen a fox going about its business and once, paying no heed to any of this, a badger trundled out for a little walk. Animals come and go, some distant noise or our movement in the house makes them prick their ears and in an instant they retreat into the wings of the forest. Only the set design seems to stay the same: aspens with their perpetually quivering leaves, two birches on the dry hill overgrown with bilberries, the monstrously entangled black roots of the spruce downed by a storm several years ago and the crooked pine to the right of it, and in the foreground a small birch grove. Unseen by the human eye, the core population of this grove has managed to overcome the insignificance of undergrowth and fill out the lanky thinness of adolescence and early youth, and now stands tall as a serious brigade, albeit a little apart from the rest of the forest. As befits adults, they’re all dressed in the splendour of white bark now, yet nothing has changed in their behaviour or even character. As soon as the birches perceive a stronger gust of wind with the tips of their leaves, they’re poised to begin a coordinated choreographic performance that includes an elaborate prologue or warm-up, a gusty development of the theme and then a tumultuous culmination. It all ends with a retreat, a movement akin to ebbing, when a wave that has somersaulted and broken against the shore returns to the sea. Just as the undulation of the sea, the dance of the birches seems to express both hope and melancholy. I would like to believe that over the years I’ve learnt the unique repertoire of movements that set our birch collective’s performance apart from those of other groves, copses and stands, but I’m afraid I haven’t the slightest hope of interpreting and understanding the message of this collaboration between the wind and the trees. Confronted with it I feel like a numskull, ignorant of sign language and watching an interpreter signing away on TV without realising that it’s possible to turn on the sound. Or perhaps a more apt comparison would be with the attempts of earthlings to communicate with extraterrestrials, as in Ted Chiang’s Story of Your Life, on which the film Arrival is based. Although the film differs considerably from the novella, the idea that our language has an impact on how we perceive the world is crucial in both versions. The birches and other trees rustled by the wind remind me of visitors who’ve arrived from a great distance. And I’m not just trying to be poetic. Ten or eleven thousand years separate us from the time when the territory of Latvia was almost entirely covered with forests, with predecessors of plants still found there today: that distance is hard to manage even in my mind. Time travel is difficult whichever way you go: it’s no easier going back four thousand years – to a time when our forests became more or less like what I can see through my veranda window – than it is to travel in the direction of the future. I once read somewhere that Chinese history, culture, art and even language could not be imagined without the image of a river – metaphoric, symbolic and even literal. I am told that the first word I managed to utter as a toddler was “mežā” (in the forest), perhaps because for my mother, the forest in Līgatne was a favourite place to take a stroll. So it could be that being in a forest and the feeling of a forest’s presence are as deeply rooted in me as the idea of a river in some Chinese person who might be sitting on a different veranda somewhere on the other side of the world. Outside my window, the wind gathers speed, grabs on to the foliage, sways the branches, and for a brief moment I have a feeling that I know what the trees are trying to tell me. It could be the same thing they’ve said, the same story they’ve told for millennia – even before the arrival of the first people in these parts. And I hope that they’ll continue to talk this way amongst themselves even after I, and all of us, have become a part of them. *Engels reproached those who were unable to see the forest for the trees, who preferred to look at the world metaphysically, in his work Socialism: Utopian and Scientific (1880). He argued that delving into metaphysics made such people into individualists and prevented them from perceiving what was important in society as a whole. 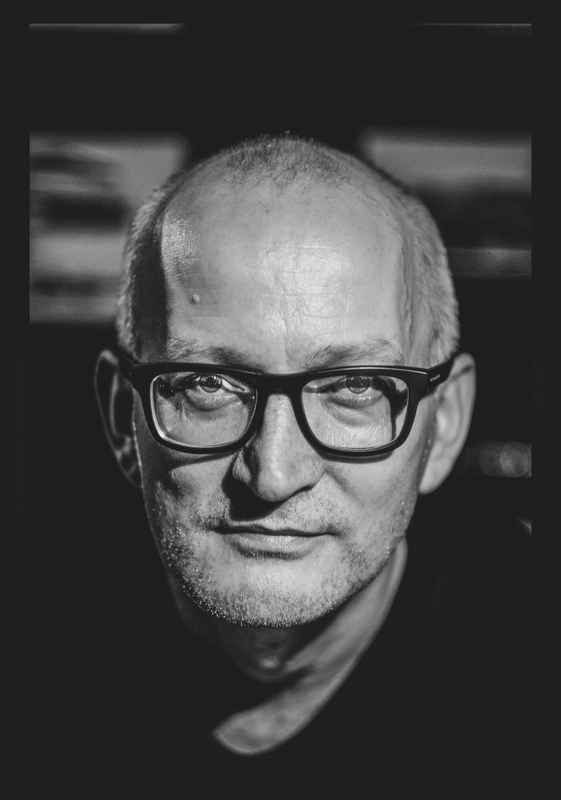 About the author: Writer and journalist Pauls Bankovskis was born in Līgatne, Latvia, in 1973. He studied glasswork at the Riga School for Applied Arts as well as philosophy at the University of Latvia (1992–1996). His prose was first published in 1993. 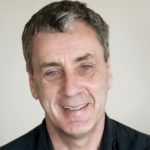 Since then he’s published ten novels and two collections of short stories, as well as an award-winning children’s book and a non-fiction work. His focus tends to shift from Latvia’s history, myths and legends to the realities of the recent Soviet past to the possibilities of the future. His novel 18, providing a rich, idiosyncratic vision of a momentous time in Latvia’s history, was first published in 2014 as part of a series of historical novels entitled We. Latvia. The 20th Century. Vagabond Voices published the English translation of 18 in 2017. The photo above of Pauls Bankovskis is by Stewart Ennis.